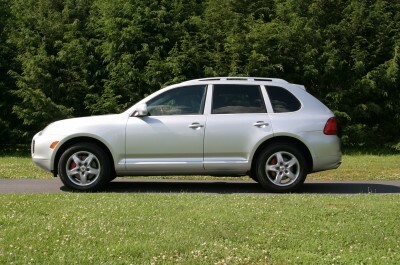 Porsche’s first SUV, the Cayenne is essentially unchanged for 2004 after joining lineup for 2003. Offered in three versions, the Cayenne S is powered by a 340-hp 4.5-liter V8 and the Turbo adds twin turbochargers for 450-hp from the 4.5-liter V8. The Base features Porsche’s first-ever V6 engine. This is the top end Turbo Cayenne, powered by the twin turbocharges. A delight to drive down the highway. This vehicle is in like new condition, stop in to see it today!